Amid Monday's #BelieveSurvivors campaign, Sen. Dianne Feinstein called for the Senate Judiciary Committee to postpone the upcoming Kavanaugh hearing. Deborah Ramirez alleged that Supreme Court nominee Brett Kavanaugh exposed himself to her during a college party in the 1980s. The Judiciary Committee has scheduled a hearing for this Thursday to investigate allegations made by Christine Blasey Ford that Kavanaugh sexually assaulted her when they were both in high school. 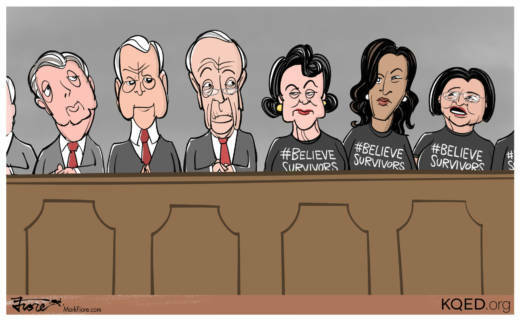 Democratic senators on the committee made statements and tweeted in support of the viral #BelieveSurvivors movement.